Here's a superb new online slots game from OpenBet that you must try playing. If you've never had the chance to go, see, and explore the magnificent Sahara Desert, then you're going to receive that fortune with this slot game. 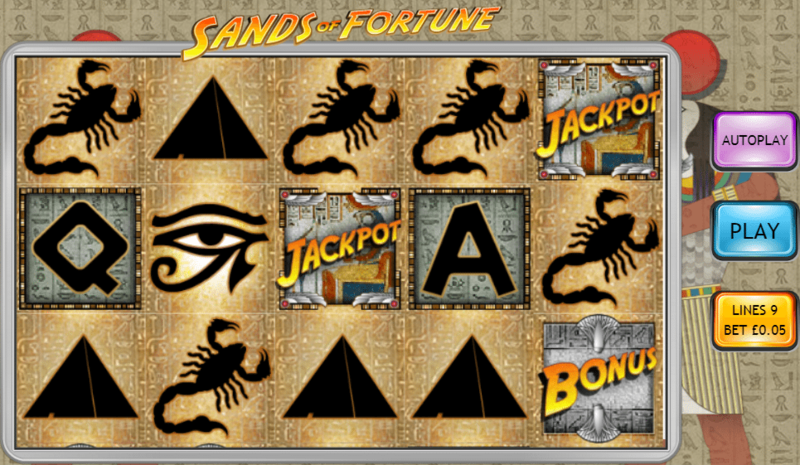 Sands of Fortune lives up to its name. Relishing in the Egyptian desert theme, the online casino game brings the mystery of the desert to your screen, along with a jackpot that can make any player draw a big grin on their faces. The way that players can maneuver through the play newest slot games in a completely unpredictable manner, and turn a grain of sand into a fountain of winnings within minutes is why so many casino game lovers enjoy this game and not get sick of it. Which developers have made that sensation possible? Well, the people behind OpenBet are the ones that take the credit. For over 20 years, OpenBet believes that casino players should have the best online slot game experience that they could ever have through the means of creative innovation and exceptional technicalities. Because of their great-minded developers, OpenBet succeeded in obtaining 5 million gameplays in 12 months, 2.4 billion gameplays via mobile, and over 40 integrated game suppliers. If you think that's impressive, then you should continue reading how they set the online casino game out. If you love promo's, check out SlotsBaby today. Even though every online casino players like getting involved in something fresh and out-of-the-box, OpenBet knows that they also like continuity. 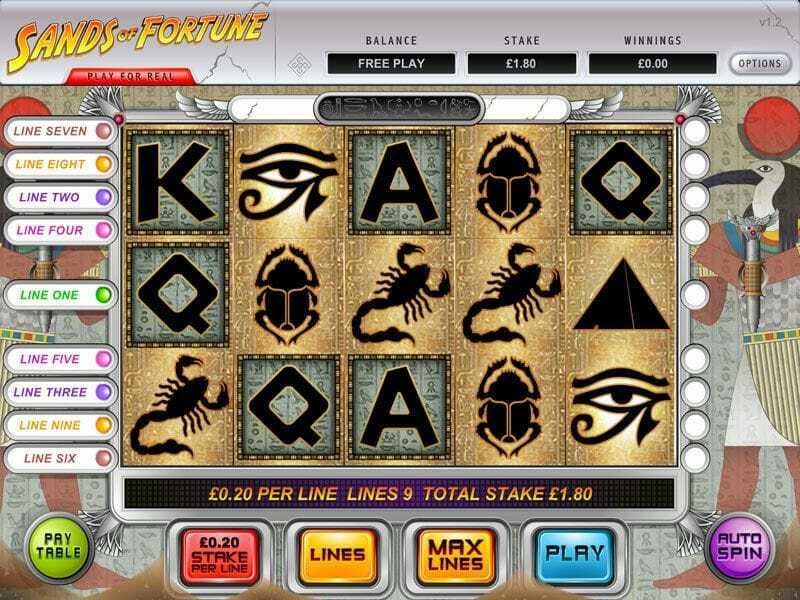 Sands of Fortune operates as a 5 reel, 9 pay line online slot game, and a bonus feature that offers players a choice in conquering the game and gaining some more winnings. With a bit of luck, you can encounter some WILD and SCATTER symbols, which triggers the bonus round when 3 or more SCATTER symbols are found on the screen. You may ask that if the game method is so simple, why do players come back to play it repeatedly. WILDS: These symbols replace all of the others except for the SCATTERS. SCATTERS: 3 of these symbols give you 3 picks, 4 of them give you 4 picks, and 5 will give you 5 picks. Bonus round: Taking the players to the Ancient Crypts of Egypt on a new screen, you choose 1 tunnel out of 3 that will either contain an artefact or a trap. If you get an artefact, you win a marvellous prize to take back home from your adventure. The picks are represented are doors, and one of those doors will contain a prize with the value of 50x the total bet. With so many developers that try to adapt traditional slot games to make them look like they've been made from scratch, OpenBet has made a success in making online casino players to place a bet and wander through the desert again and again.